Old school family fun for the premix fan! Young or old, new bike or well-loved oldie, we have classes for you! For the modern adult (125 and Open) classes, we’ll be grading you in practice to make sure you’re in the right group. All classes will receive trophies down to sixth place and we have secured a lot of prizes to split across the youth classes on top of the trophies. You can register here online. Registration is open and will close on April 24th 2019. It will be open for day entries at the Marshfield opener. The Registration fee of £75 secures you a place at every round, and the cost is £95 per round for Registered riders. 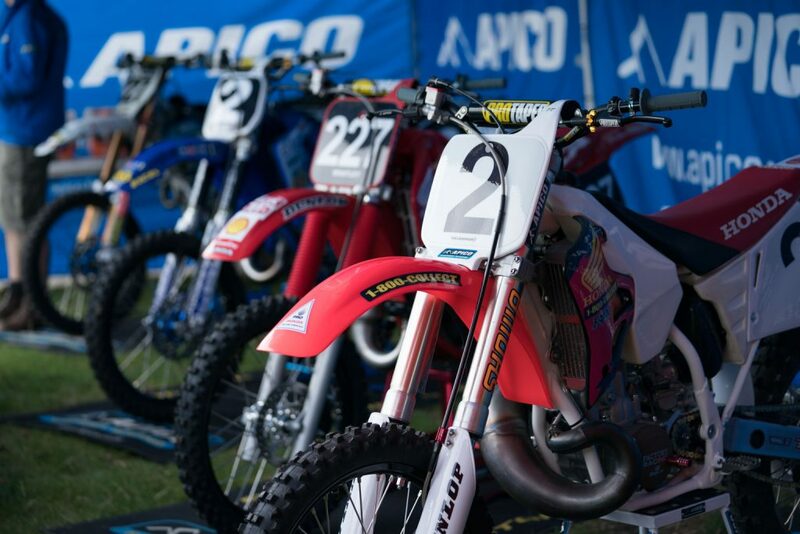 All riders must be ACU affiliated, and transponders can be hired on the day. It’s a two-day fun-filled festival for fans of two-stroke motocross with racing for all ages of rider and bike – as long as it’s a two-stroke!